Addition and subtraction of similar fractions is nothing but a usual arithmetic operation. After checking that all denominators are the same, the rest will be performing addition or subtraction to our numerators. The denominators will tell us if we can add or subtract them directly. If we are dealing with denominators, this means that we are dealing with similar fractions (also called as like fractions) and dissimilar fractions (or unlike fractions). I have already discussed similar and dissimilar fraction in my previous post. For those who want to review, check my post entitled “Types of Fractions”. 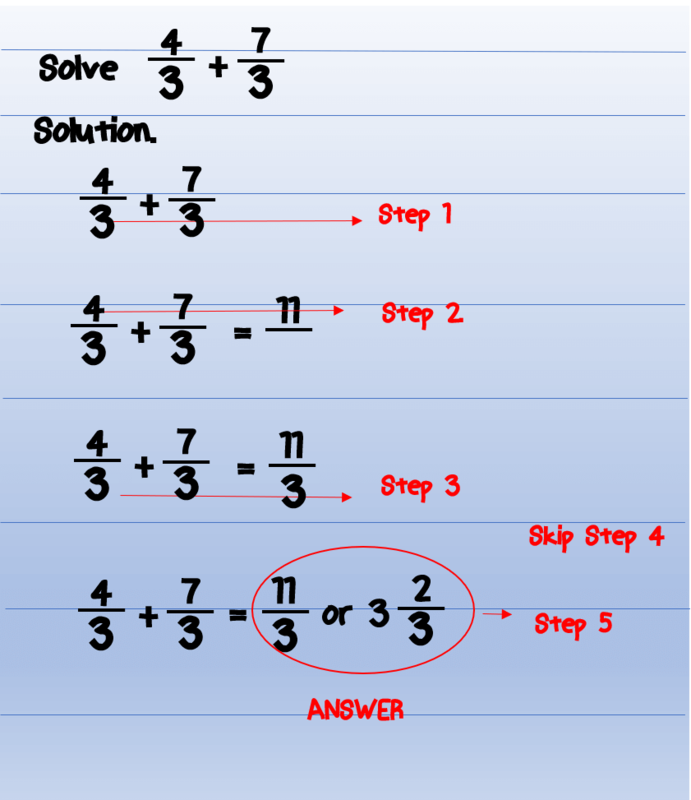 In this lesson, I will be presenting the basic procedure (step-by-step) on how to add or subtract similar fractions. It will be followed by various examples for you to understand it better. As a review, similar fractions (also like fractions) are fractions having the same denominators. Step 1: Ensure that all denominators are the same. 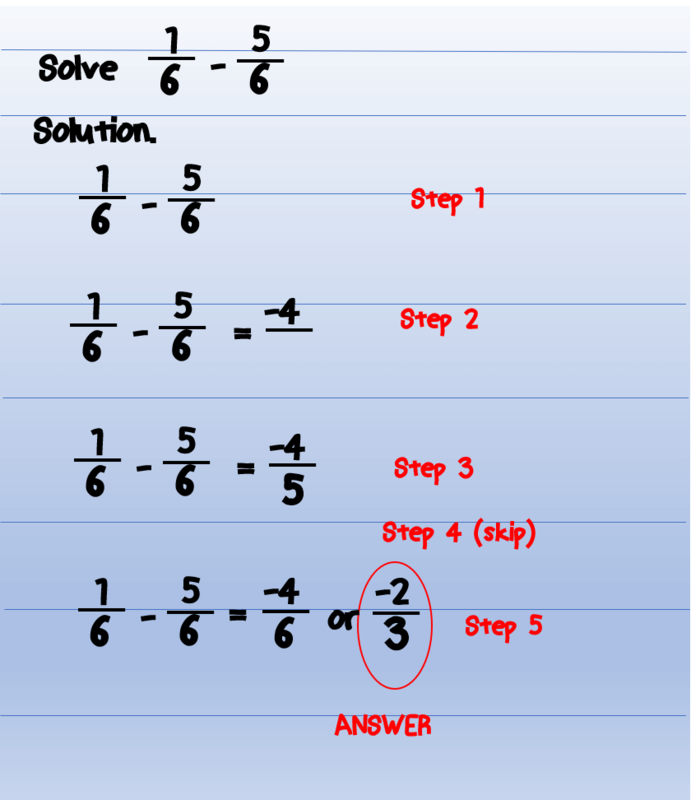 Step 2: Add all the numerators. The sum will be the numerator of our answer. Step 3: Copy the denominator. This will be the denominator of our answer. Step 4. Add all the whole numbers if it is mixed numbers. Step 5. Convert your answer into its lowest term or mixed numbers. Do you want examples? We will be giving you various examples for you to understand it better. 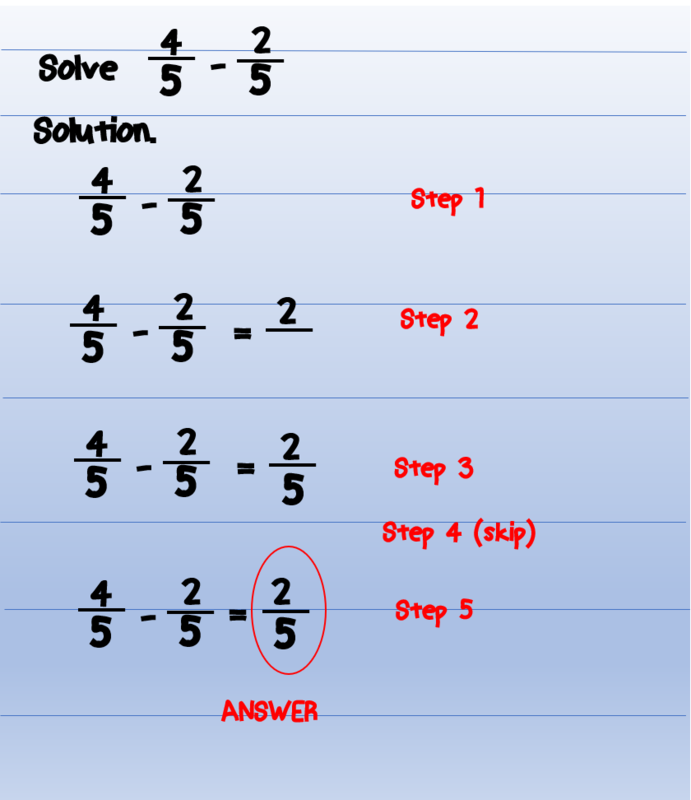 Example no.1 This is how we add proper fractions with the same denominators. Step 1 is to check the denominators. 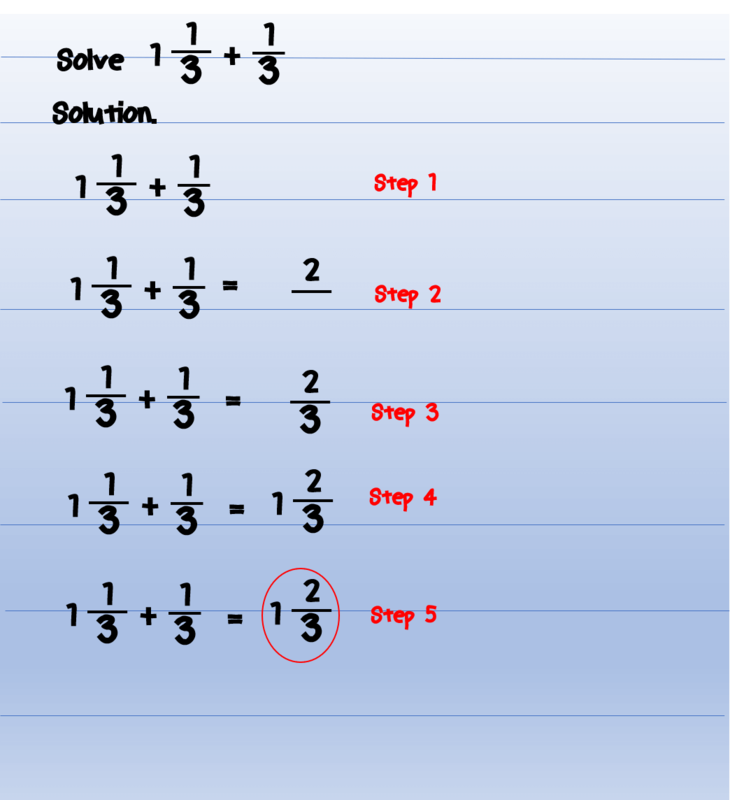 All the denominators are the same 5 thus we can proceed to step 2. Step 2 is to add all the numerators. Let us add 1 and 3. This will give us 4. 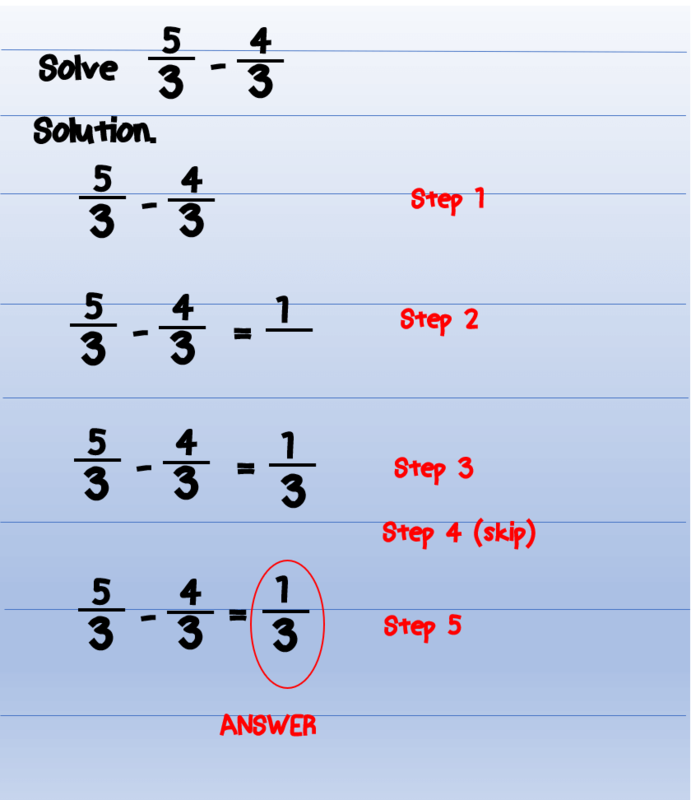 Step 3 is to copy the denominator. Our denominator is 5. Step 4 is to add whole numbers. Since we do not have mixed numbers, then we can skip this step. Step 5 is to convert our answer into its lowest term. Since 4/5 is already the lowest term, then 4/5 is our final answer. Example no.2 Let us try to add more proper fractions. Example no. 3 Let’s have another example. Example no. 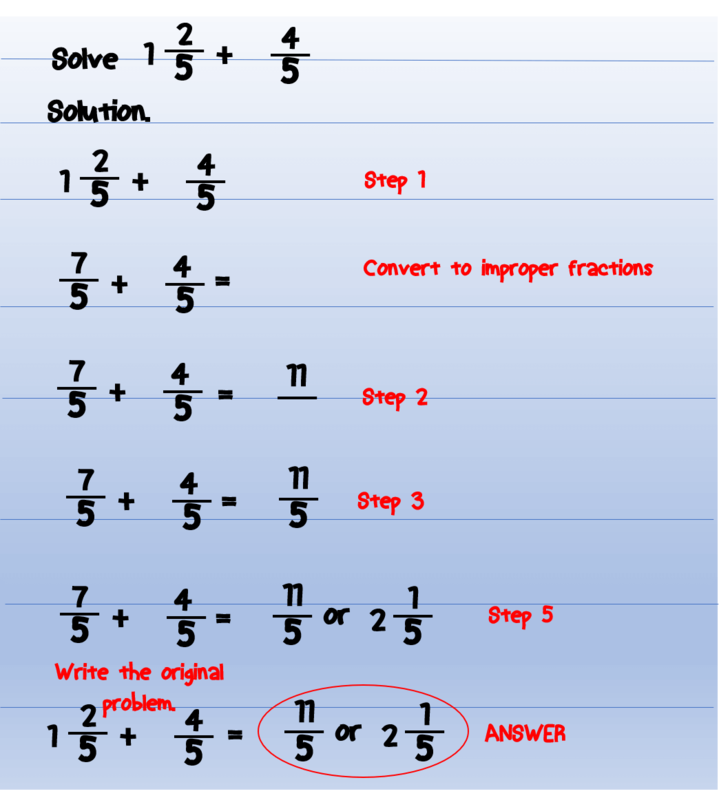 4 The same procedure will be applied when adding improper fractions with the same denominator. Example no. 5 Let’s take a look at another example of adding similar fractions. This time, we are going to add a proper fraction and an improper fraction. We will follow the same steps. Example no. 6 This time, let us add mixed numbers. The easiest way to add mixed numbers is to add them according to our procedure. Add the proper fractions and then the whole numbers. See the following example. Example no. 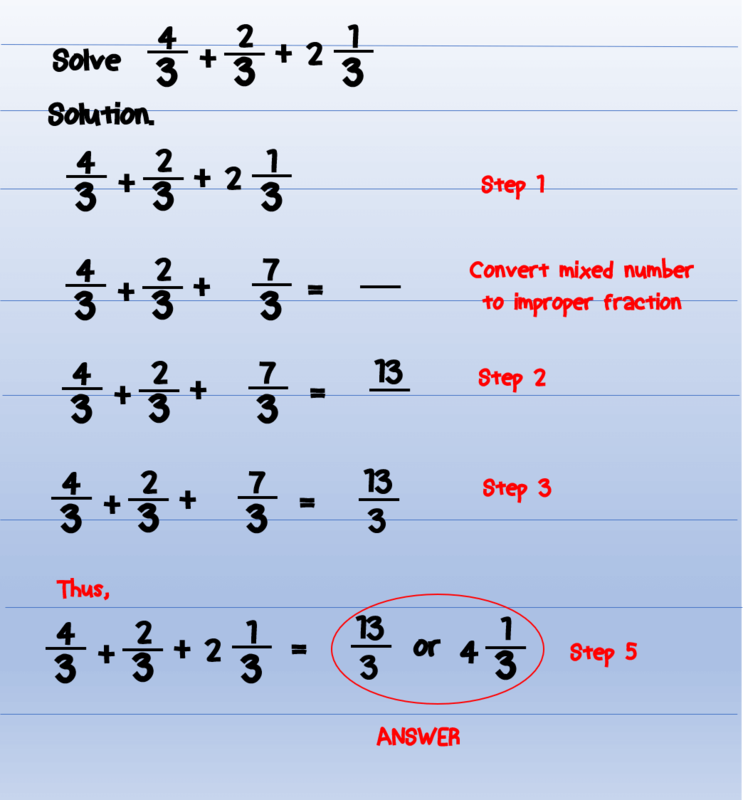 7 However, there are some problems in which after adding proper fractions, the result will be an improper fraction. Mixed numbers must have only a whole number and a proper fraction. If the partner of your whole number is an improper fraction, then you need to convert the improper fraction into mixed numbers and combine the whole numbers. See the example below. Note: 7/5 is not a proper fraction. A mixed number should have only a proper fraction and a whole number. Therefore, we need to convert it into a mixed number. In this problem, it is better to convert the mixed numbers into an improper fraction and do the addition according to our procedure to avoid confusion. Let us solve example no.7 again. For me, this is way more easy than the previous one. But, whatever technique you are comfortable to use with, it will still give you the correct answer. Example no. 8 We can also add a mixed number and a proper fraction. The procedure is the same as example no.6. 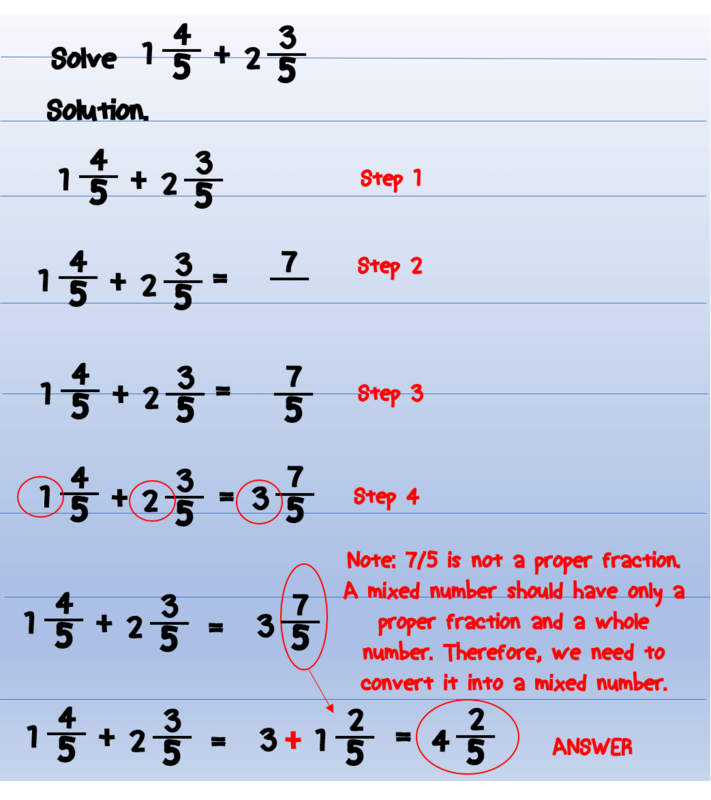 If the result after adding the proper fractions is more than one, then follow the procedure in example no.7. Let us see another example. Example no. 9 How about adding mixed numbers and improper fractions? 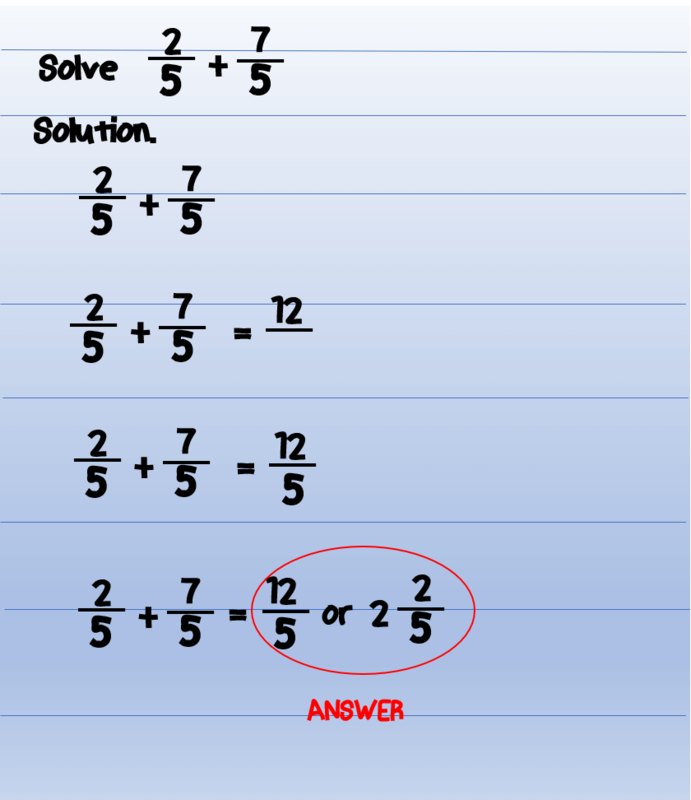 Example no.10 Now, let us add similar fractions of different types. Dealing with the addition of similar fraction is quite simple. You just have to ensure that the denominators are the same so that you can proceed to add the numerators. 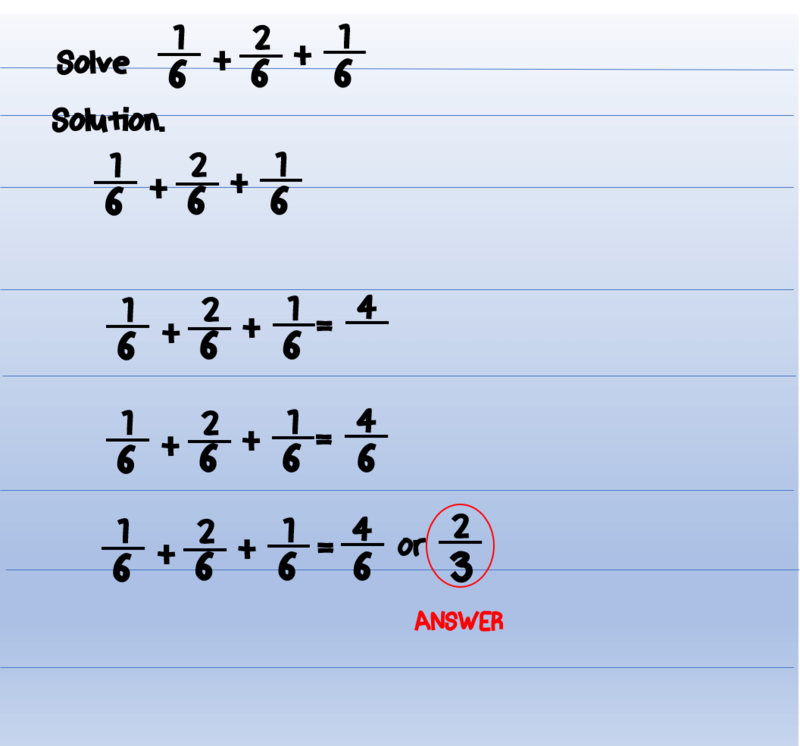 Subtracting similar fractions have the same procedure with adding similar fractions. The only difference is that you will be dealing with subtraction. 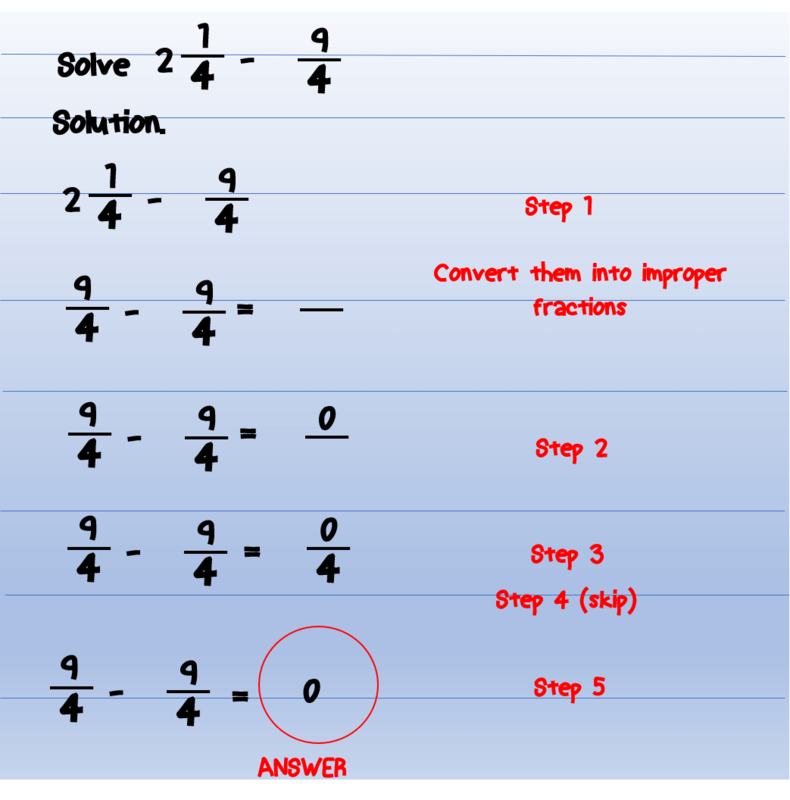 Example no.11 Subtracting proper fractions with the same denominators. Observe that we just follow the same procedure as the addition of fractions with the same denominators. Example no.12 We can have also negative fractions as our results. Negative fractions are fractions which are less than zero. Example no.13 Subtracting improper fractions with the same denominators. Example no.14 In this example, we will subtract mixed numbers of similar fractions. 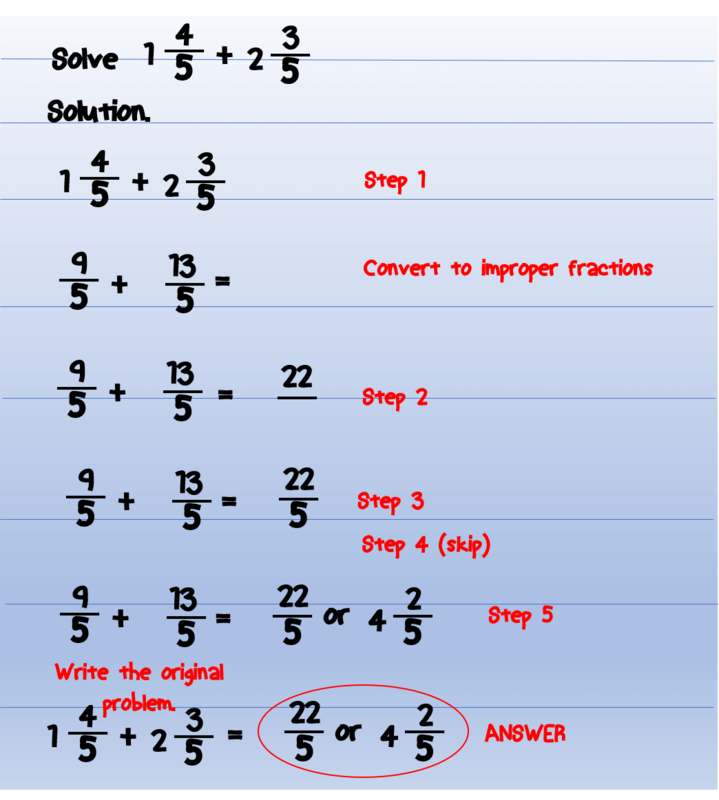 It will be easy if we will convert mixed numbers into improper fractions and proceed with our procedure. 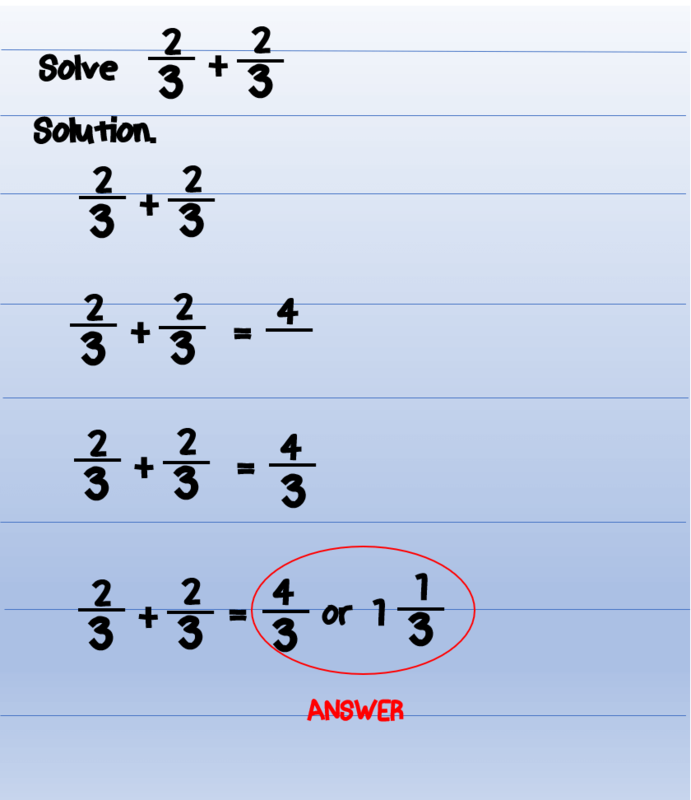 Example no.15 More examples subtracting similar fractions. 1. 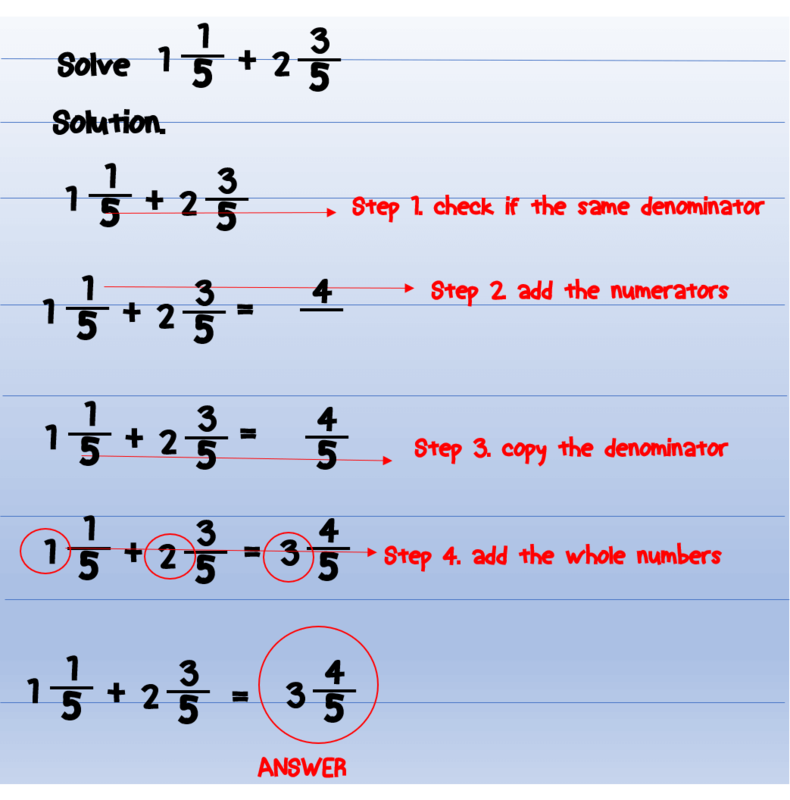 To add or subtract similar fractions, just add or subtract all the numerators and copy the denominators. Then, convert the answer to lowest term or mixed number. 2. For adding or subtracting mixed numbers with similar denominators, first, convert mixed numbers into improper fractions. 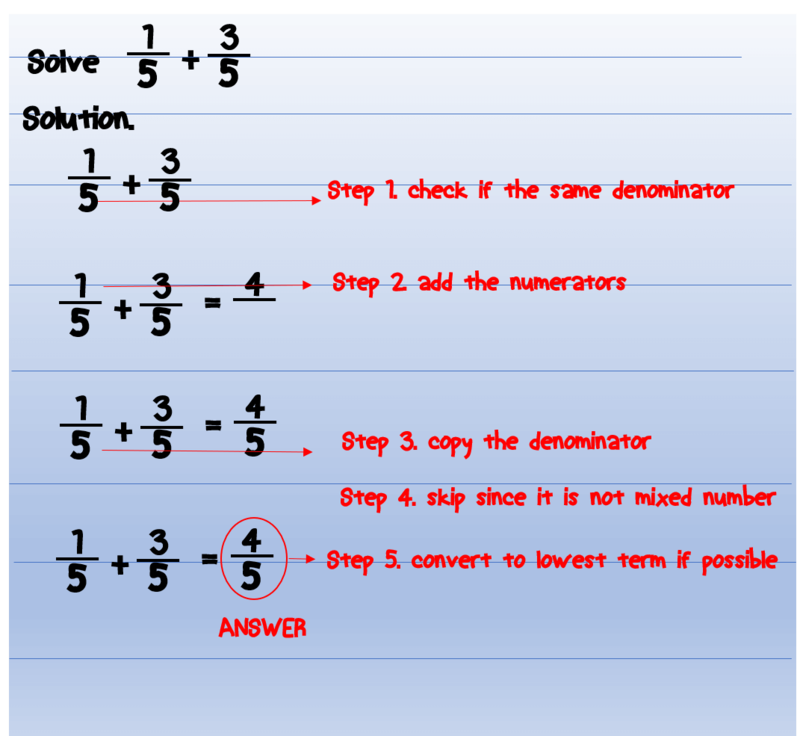 Then, add or subtract the numerators and just copy the denominators. Convert your answer to lowest term or mixed number. 3. What are similar fractions or like fractions? 5. What are Equivalent Fractions? 6. How to Simplify Fractions? 7. How to convert an improper fraction into a mixed number? 8. How to convert a mixed number into an improper fraction? If you have some questions or problems related to the above topic, please feel free to drop those in the comments section below. You can also send your concerns to our support team at support@math-lover.com. The math-lover.com is happy to have you here reading this post. Previous Post:How to Simplify a Fraction?